There are 27 sports on the Paralympic program (22 summer and 5 winter), with a large number of these sports currently available throughout Canada at various levels of competition. For a complete list of sports click here. “Para sport” is a term used to describe sport that is primarily aimed at persons with a disability, and comes from the idea that it is "para"llel to sport for able-bodied athletes, sometimes with adapted equipment or rules to make the game fun and accessible for everyone. The Canadian Paralympic Committee works with a number of partners and organizations that can help you learn about all the opportunities in para sport. Be discovered at a Paralympian Search near you. 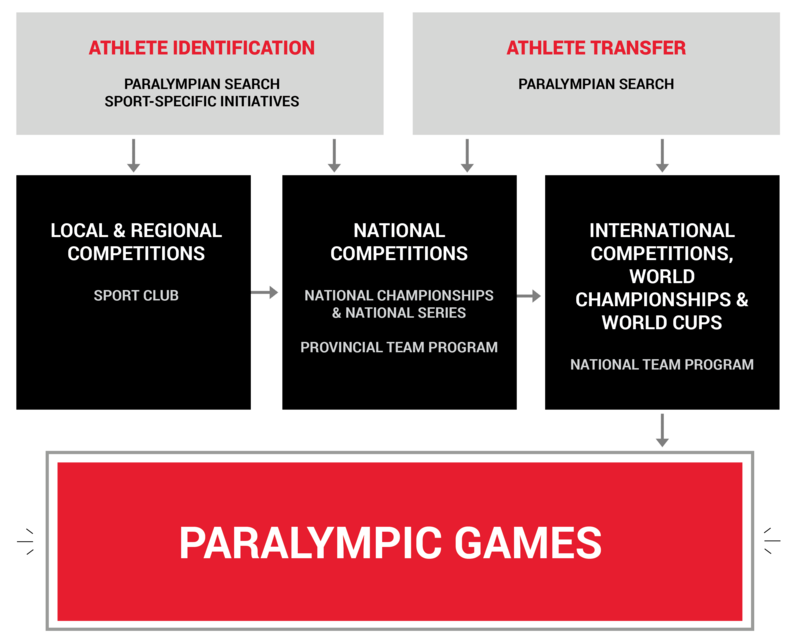 PARALYMPIAN SEARCH is a one-day athlete identification event designed to test participant aptitudes to excel in various Paralympic sports, and maybe one day represent Canada at the Paralympic Games. Each participant goes through a set of basic physical tests conducted by national team coaches and other experts. Becoming a high performance athlete can take years of dedication, training and commitment – but can be an incredible journey to push your limits and maybe one day even wear the Maple Leaf on your chest. If you are interested in pursuing sport at the high performance level, there are many different ways to begin your path towards becoming a Paralympic athlete.